Cook bacon on Presto® Electric Griddle at 300°. Drain on paper towels and reserve. Wipe griddle clean. Mix mayonnaise, basil, and oregano in small bowl; spread mixture on one side of each bread slice. 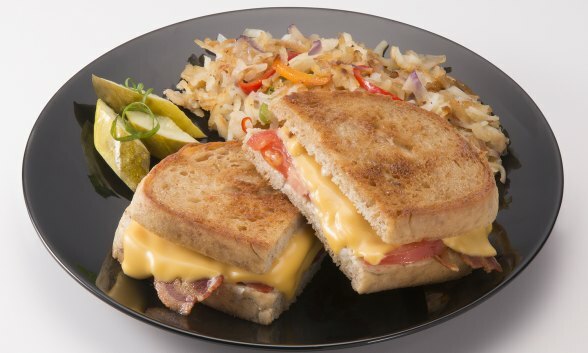 Top 2 slices of bread with 1/2 ounce of each cheese, tomato, 2 strips bacon, and bread. Lightly butter bread on outside of sandwiches. Preheat griddle at 300°. Add sandwiches, cook until golden on bottom. Flip sandwiches over; cook until bread is golden and cheese is melted.